- this case is no different, where a once famed hero has turned. Arcane Lake runes and equipment with high arcane defense are extremely helpful for damage mitigation. If you prefer a more offense-oriented approach, stack Oedon Writhe or Clawmark runes so that you can carry more ammunition or inflict greater damage with visceral attacks. Ludwig takes the most damage from fire attacks in both of his forms, although the damage increase from Fire Paper on its own will be relatively insignificant. 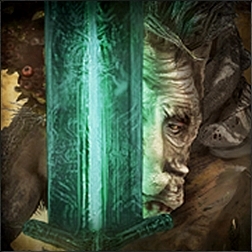 Take advantage of Ludwig's weakness to serrated damage and bring a Saw Cleaver, Beast Cutter or the Whirligig Saw; the damage bonuses from Beasthunter gems will affect him in his first form but not his second, so Tempering or Nourishing gems that provide unconditional bonuses are preferable for this battle. If you meet the stat requirements for the Cannon, bring it along with some Bone Marrow Ash to help stagger Ludwig and set him up for visceral attacks. Depending upon what eligibility requirements you meet, you can summon a variety of NPCs in the area outside the boss room to help you; Valtr, Henriett or the younger Madaras twin. While Henriett can only be summoned on her own, it's possible to bring both Valtr and younger Madaras twin into the fight with you. This boss fight consists of two completely different opponents in succession, with the transition between them occurring halfway through the battle. In his "Accursed" form Ludwig will use basic combos with his claws, leaping body slam attacks, a forward tackle, a series of advancing bites and two variations of a frontal water blast (arc DMG), and will use a rear kick and a flailing stomp attack to drive you away if you stand next to him for too long. In his "Holy Blade" form he will draw the Holy Moonlight Sword, a weapon familiar to many fans of From Software titles, and perform its signature ranged magic wave attacks as well as several melee combos and AoEs. He will no longer use the water geysers nor his equine kicks or jump attacks in this form, and instead relies solely on his sword for the remainder of the battle. Phase 1: Ludwig's left and right sides can be injured individually and will take additional damage from all attacks thereafter; he will also be temporarily stunned when one side is injured allowing for a few more swings before he recovers. 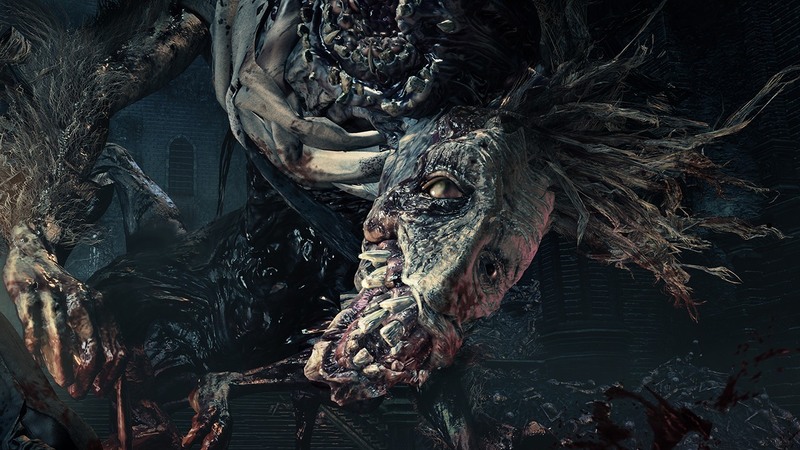 Unlike many other bosses Ludwig will not regenerate damaged limbs, so take full advantage of this and focus on one side for optimal damage or injure them sequentially to keep him immobilized, Repeated blows to the head during Phase 1 will stagger him, at which point you can perform a visceral attack on his face. If you have a Cannon, it can be used with Bone Marrow Ash to attack Ludwig's head and stagger him very quickly. Phase 2: During Phase 2 Ludwig will stagger after sustaining enough damage, at which point a visceral attack can be initiated from the front of his torso. His sides no longer can be injured at this point, but breaking his super armor will cause him to stumble. The transformed L2 attack of the Whirligig Saw is supremely effective for quickly injuring Ludwig's legs, especially when augmented with Fire Paper; during Phase 2 it is one of the fastest and easiest ways to stagger him. The boss room consists of a large, roughly square lower area with a set of steps leading up to a narrow dais at the far end. Keeping the fight to the large area and away from the corners is crucial; you'll need plenty of room to avoid Ludwig's attacks in both of his forms and becoming trapped in a corner can quickly prove fatal. Likewise, avoid backing Ludwig into one of the corners and make every effort to lure him back to the center of the room if this occurs; be especially cautious of the elevation difference on the steps and the dais as it can foul the hit detection of visceral attacks if you are too far above or below Ludwig when he staggers. Despite Ludwig having 999 Slow Poison & Rapid Poison resistances it is still vulnerable to such status. 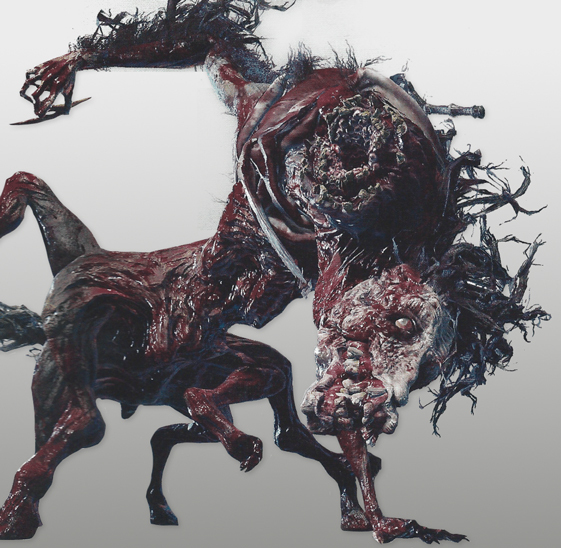 Tip: On path from Nightmare Church lamp to Underground Corpse Pile where Ludwig resides you encounter living corpse banging on the gate, it drops 5 Blood Vials each time its killed. Easing the Blood Vials drain in multiple runs against this boss. It is possible to encounter a glitch where text "Prey Slaughtered" prompts at the end of the first phase and after the cutscene Ludwig dies. 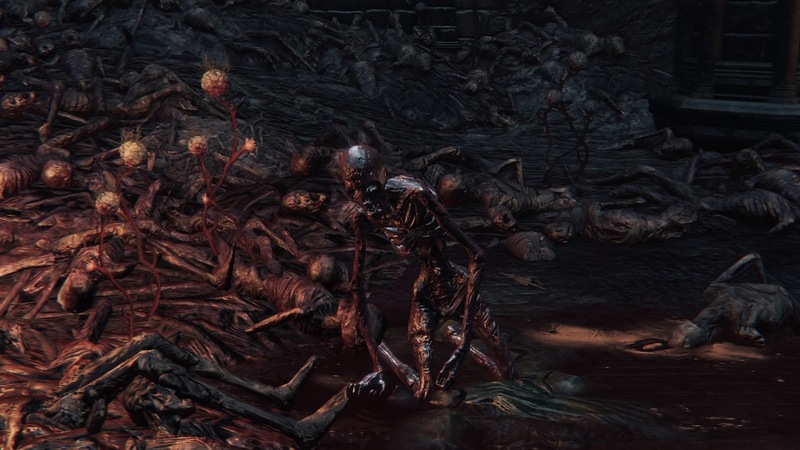 After boss fight you can interact with Ludwig's head by wearing Black Church Garb, White Church Garb, Choir Garb, Executioner Garb, Tomb Prospector Garb or Gascoigne's Garb. Revealing Holy Moonlight Sword as treasure. or you can kill his head for the sword. Claw Swipes No Quickstep forward through them or sideways in the opposite direction of each swing. Can also quickstep backward several times to avoid them at mid range. Rear Kick No Strikes directly behind him with a swift kick. Quickstep sideways or simply avoid standing in this position. Headbutt No Extremely quick forward launcher used at close to pointblank range. Quickstep sideways one to two times. Stomp No Strikes in a 360-degree radius around his body at extremely close range. Quickstep away from him one to two times. Retreating Slash No Rapid frontal 180-degree slash while backstepping. Used if you pressure him too much from the front; to avoid it, quickstep backward once or forward through it. Leaping Slam No Rapid short-range jumping slam, usually used after other attacks as a follow-up. Quickstep backward or sideways one to two times. High Jump No Slower jump attack with very long reach, preceded by a scream. Quickstep forward past it at close range or backward several times at mid to long range. Bite Combo No Multiple hits with heavy forward momentum and minor tracking. Quickstep sideways two to three times as he approaches. Charging Tackle No Used after his health drops below 80%. Preceded by exhaling a puff of yellow gas. Quickstep twice to either side when he begins charging. Drop Ambush No Used after his health drops below 80%. The blood dripping from the ceiling marks his location; run directly away from his position in a straight line. Forward Geyser No Used after his health drops below 80%. Rapid long-range blast of water in a straight line, this attack is arcane damage type [video]. Quickstep sideways once to twice. Sweeping Geyser No Used after his health drops below 80%. Sweeps a geyser of water in a counterclockwise arc, this attack is arcane damage type [video]. Run or quickstep counterclockwise, or move to his side. Phase 1 Strategy: Ludwig will usually begin the battle by closing the distance with a High Jump, so be prepared to dodge as soon as he approaches; with careful positioning you can quickstep to the side when he lands and strike his head with melee attacks as he recovers. Targeting his head is extremely difficult during his normal combos, but his jump attacks and other moves with long recovery periods offer safe opportunities to do so and you should make use of every such chance you reasonably can in order to earn a visceral attack. Ordinary gunshots to the head will also stagger him, especially when augmented with Bone Marrow Ash; the Repeating Pistol and Evelyn are especially effective for this purpose depending upon your stat allocation. In general, quickstep forward through his claw swipes and strike his legs a couple of times; just be prepared to get out of the way immediately to avoid h s counterattacks. Focus on one side at a time to injure them as quickly as possible; this will stun Ludwig and buy you more time to pile on additional attacks. You can also sneak in a hit or two by dodging his Bite Combo if you are close enough to him when the attack ends, and his High Jump leaves him open long enough to execute a charged attack on his head. Beware that standing directly behind him at close range will trigger his Rear Kick, and he'll use his Headbutt to punish attempts to close in on him from straight ahead. When Ludwig's HP drops below 80% he will begin using his Charging Tackle, Drop Ambush and both Geyser attacks, offering a new set of opportunities to strike him either as he recovers from the Drop Ambush or after quickstepping counterclockwise to his left side while he is performing the Sweeping Geyser. Fast Combo No Preceded by a roar. Raises his sword to his left shoulder and performs two quick frontal slashes, a slower overhead cut and an upward swing. Quickstep right twice consecutively through the horizontal swings, right again through the overhead and continue strafing counterclockwise during the uppercut. Heavy Combo No Frontal arcing counterclockwise slash followed by either a single diagonal swing from the opposite direction or three overhead chops and an upward cleave. Quickstep backward two to three times to avoid the entire combo or quickstep forward through the first hit, sideways through each of the three overheads and forward or sideways through the final upward slash. Run-in Combo No Dashes toward you from long distance and performs a horizontal slash followed by either a slower diagonal slash or a series of vertical overhead cuts. Quickstep forward past each swing toward his rear. Forward Cross No Two extremely rapid diagonal slashes which strike directly ahead of him; generally used to punish pointblank strafing. Quickstep once sideways. Uppercut Rush No Running uppercut slash sometimes followed up with a diagonal cut. Strikes a large forward and backward vertical arc on his right side and has long reach. Quickstep forward past it toward his left side, or quickstep once sideways. Moonlight Wave No Slow horizontal charge slash followed by a horizontal wave of moonlight. Quickstep forward through the wave, or twice sideways at longer range when time permits. Double Moonlight Wave No Two diagonal slashes in opposite directions which create two waves of moonlight at opposite angles. Quickstep sideways to avoid the first and immediately quickstep sideways again to avoid the second. Moonlight Stab No Performs a forward thrust covered in arcane energy. Quickstep once in any direction to avoid it: it will miss completely if you are standing at pointblank range. Moonlight Ring No Charges for about three seconds, then stabs his sword into the ground. Creates a small circular burst of energy centered on the sword; quickstep backward one to two times to escape. Moonlight Onslaught No Slowly raises his sword above his head, then creates a massive spherical explosion centered on the sword followed after about two seconds by a massive forward blast of energy which lasts another three seconds. Quickstep in any direction immediately before the explosion to dodge through, then quickstep forward past him and stand to either side or behind him to avoid the sustained energy blast. 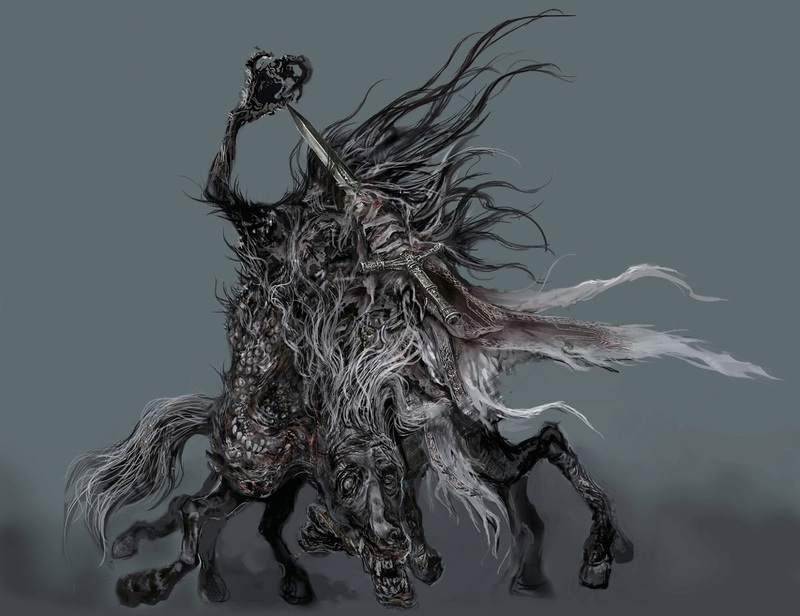 Phase 2 Strategy: Ludwig will remain idle for a couple of seconds after the cutscene, so take advantage of this opportunity to use Blood Vials or create Blood Bullets if necessary. From this point forward he will abandon his entire Phase 1 moveset and use only sword swings, arcane-based projectiles and area attacks. He will use three distinct melee combos with limited variations: a Fast Combo at close range, a Heavy Combo at close and mid range, and a Run-in Combo at long range. Generally speaking, these offer limited opportunities to quickstep past him through the swings and counterattack; his slower individual moves such as the Moonlight Wave, Moonlight Stab, Moonlight Ring and especially the Moonlight Onslaught offer much more reliable openings when correctly evaded and require considerably less focus on evasion of consecutive hits. Quickstepping forward through the Moonlight Wave and the Moonlight Stab at close range will buy time for one or two swings; the Moonlight Ring has a long and obvious windup which provides a large window for either attacks or Blood Vial use; and by quickstepping toward Ludwig at close range the instant before he releases the initial explosion of the Moonlight Onslaught, you can completely avoid the damage using your invincibility frames and buy yourself an extended period of time to strike with R1 combos before he performs the second half of the attack. If you successfully dodge the initial explosion in this manner and come out of your quickstep close to Ludwig's body, all you'll need to do to avoid the forward followup blast is strafe around him in either direction at pointblank range; this allows you to exploit a second and even longer period of vulnerability to strike with further R1 combos while he is committed to the attack. Ludwig/Hunter's Nightmare: Down the stairs from the Nightmare Church Lamp, directly to the left of the stairwell exit. 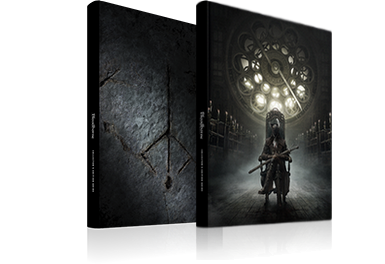 Ludwig/Hunter's Nightmare: Along the right wall directly opposite the Eye Collector as you approach the boss room, slightly obscured behind the terrain. An unsightly beast... a great terror looms! Aah, you were at my side, all along.